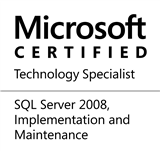 #0339 – SQL Server – This Blog is moving! How to stay in touch with me? The content on my pages in BeyondRelational.com will be moved (gradually) over to the new blog. This blog will now move to http://nakulvachhrajani.com effective today. This entry was posted in #SQLServer, Blog, Imported from BeyondRelational and tagged #SQLServer on July 27, 2014 by nakulvachhrajani.